60's FOLK REVIVAL: Another Great Year Of Folk Singing Ahead! 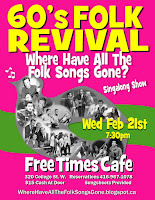 Celebrating the artists and songs of the 1960's Folk Revival. Another Great Year Of Folk Singing Ahead! 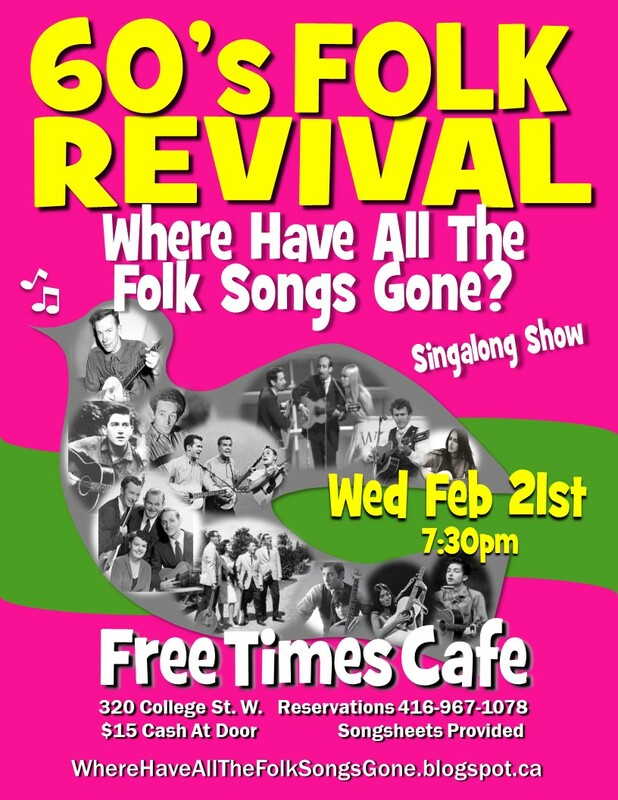 2018 got off to a great start with a wonderful group of singalongers at the Free Times Café on Jan. 17th. Can't believe 'Where Have All The Folk Songs Gone?' is now in our 6th year of monthly shows. It's true that ime sure flies when we're having fun!